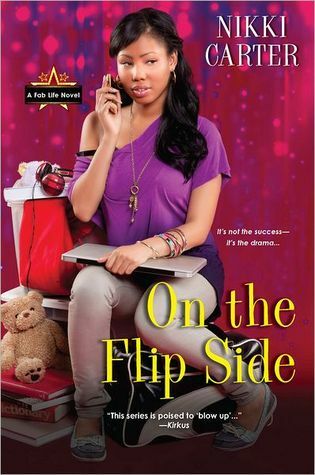 I am participating in the awesome Black History Month Hop event hosted by Reflections of a Bookaholic and Mocha Girl Reads and since this week’s topic is Black Books and young adult books are my favorite, I am very happy to interview Nikki Carter about her new YA novel, On the Flip Side: A Fab Life Novel. While I’m talking to Nikki about only one of her books, she is the author of both adult and YA novels including the So For Real series and The Fab Life series. Me: Welcome Nikki! 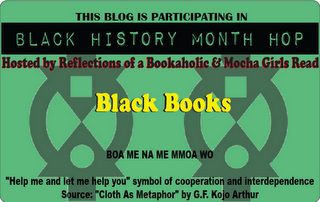 Please tell us about your latest novel, ON THE FLIP SIDE, and The Fab Life series. Nikki C.: This is the fourth book in the series and the main character, Sunday, is now trying to balance her career as a pop star with her freshman year at Spelman College in Atlanta. She’s got a whole new set of friends! Gia (who readers will remember from the So For Real series), free spirited Piper and the elite Meagan. Sunday’s dream has always been to get to college, but she’s going to find it very challenging in addition to her charmed music industry life. Nikki C.: They come waltzing out of my imagination! Sunday emerged one day when I was reminiscing on my early twenties. I briefly pursued a music industry career, and I went to a few parties. The potential for drama was limitless! Me: Which character from ON THE FLIP SIDE is your favorite? Nikki C.: Sunday, definitely Sunday. I also love her friendship with Gia. Even though Sunday wasn’t even a twinkle in my eye when I wrote Gia’s stories, it’s like they were destined to be college roommates. Me: What do you have in store for The Fab Life? How many books are planned for the series? Nikki C.: Right now, we have at least two more books planned for this series. We’ll see what unfolds after that. Me: Why do you write novels for young adults and how did you get started? Nikki C.: Because it is fun! I have two teenagers, and they are more excited than I am when the books come in the mail. One of my daughter’s friends sent her a text about Not a Good Look that said, “this book is oozing swag”. Score! I love that my girls can see me in a fun, fabulous light and not just an endless source of cash for their Hollister and Aeropostale gear. Did I digress? How did I get started? My agent at the time thought it would be a good idea to diversify, and some of my counterparts like ReShonda Tate Billingsley were having success in the Young Adult market. I decided to give it a try! Nine books later, I’m still loving it. Me: Why do you think it’s important to write young adult novels featuring African American characters? Nikki C.: Because I want young African American readers to know that they can be positive, and still be fabulous. I want them to know that you can get straight A’s, go to college, and still not be a lame. Me: That's a fantastic reason! I'm so happy you are writing books that entertain and teach teens life lessons as well. 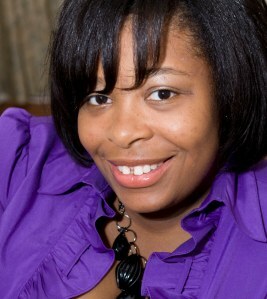 Nikki C.: I do read young adult books, but I read just about every fiction genre. My oldest daughter and I are into the James Patterson Maximum Ride series. I am currently reading The Girl Who Kicked the Hornet’s Nest. Nikki C.: I’m finishing up Time to Shine which is book five in the Fab Life series. Ready to win a copy of On the Flip Side: A Fab Life Novel? Just follow the Rafflecopter instructions below and good luck! Summary: Sunday Tolliver has a mega-smash album up for major awards—and her first few months as a college freshman are everything she hoped for. But juggling all this and her long-distance romance with boyfriend Sam is taking drama to mad-crazy levels. Hot up-and-coming video star DeShawn isn’t letting Sunday’s relationship keep him from getting close. And relentless online gossip is seriously shaking Sunday’s trust in Sam. The only way Sunday can stop the madness and get back on track is to trust her instincts--and get a little help from her friends. i hope Canadians are eligible ? Yes, the giveaway is open to US and Canadian addresses. What a fun heroine -- pop star and college student! I love that. A book I will definitely introduce my youth mentor group to. Good luck Everyone! So awesome! I was just remarking about how I'd like to read more books with characters set in college. Thanks so much to the introduction to Nikki Carter! And thanks for the great giveaway! I love books written about young/teen African Americans. This gives them something they can look forward to reading about themselves. I also enjoy reading them.